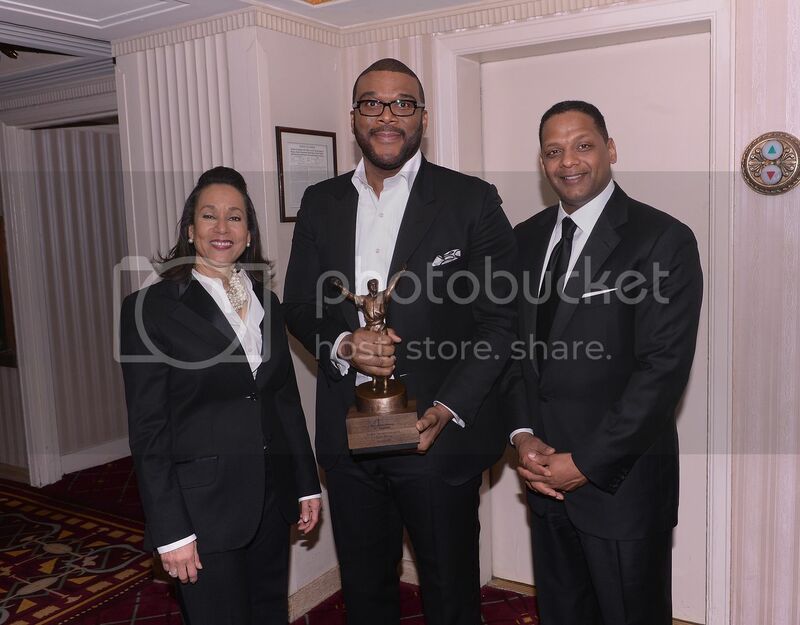 NEW YORK, NY – On Monday, March 9, 2015, The Jackie Robinson Foundation (JRF) honored Chairman and CEO of BNY Mellon, Gerald L. Hassell, retired President and CEO of McDonald’s Corporation, Don Thompson, and filmmaker and philanthropist Tyler Perry at its black-tie Awards Dinner held at the Waldorf Astoria. 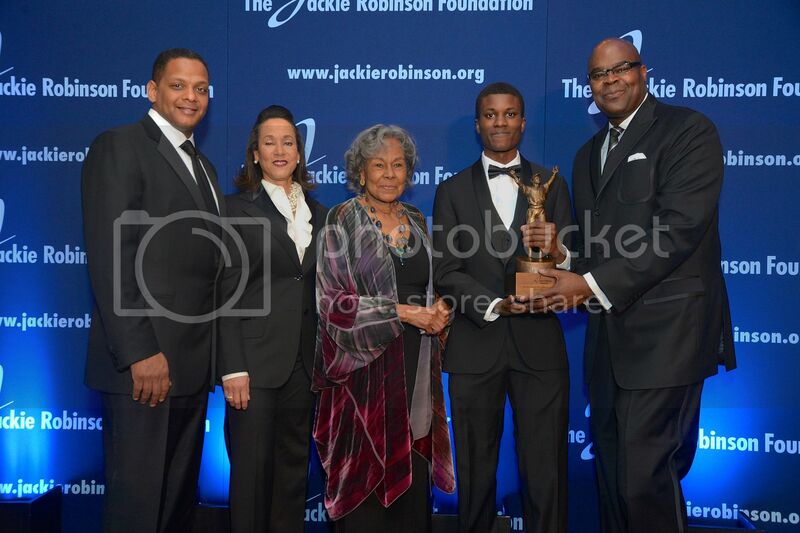 In front of nearly 1,000 guests who attended the cocktail receptions, dinner and awards ceremony, each honoree was escorted to the stage by a JRF Scholar and recognized for embodying the humanitarian ideals of Jackie Robinson through devoting their lives to the promotion of social justice, excellence and human dignity. The gala raised $1.3 million for the Jackie Robinson Foundation’s unique scholarship program that provides financial grants in addition to mentoring and leadership training for minority college students, and for the Jackie Robinson Museum project. The evening kicked off with a rendition of “Did You See Jackie Robinson Hit That Ball?” performed by Ray Chew Live, and featured a performance of “It's You,” “I Can't Stop Lovin’ You,” and “Love Calls” by GRAMMY Award-nominated vocalist Kem. Hosted by actor Andre Holland (42 and Selma), guests also listened to remarks from the three honorees, chairman of JRF, Gregg Gonsalves, president and CEO of JRF, Della Britton Baeza, and three JRF Scholars. 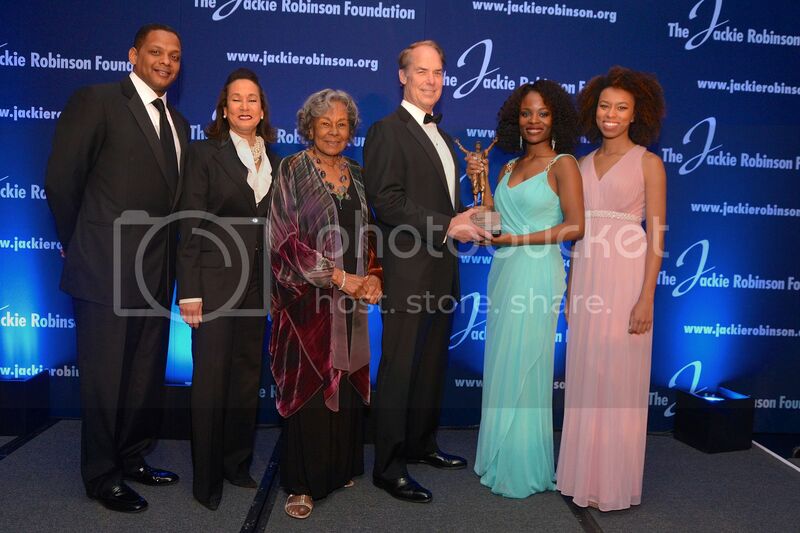 Sponsors of The Jackie Robinson Foundation’s Annual Awards Dinner included BNY Mellon, Praxair, Inc., Major League Baseball, Omnicom Group, Inc., New Era Cap Co., Inc., Chubb Group of Insurance Companies, American Express, Ariel Investments, Citi, The Coca-Cola Company, Credit Suisse, Deloitte, Deutsche Bank AG, Martin L. Edelman, Esq., Ford Motor Company, GCM Grosvenor, GE, Guardian Life Insurance Company, McDonald’s Corporation, Northrop Grumman Corporation, Perella Weinberg Partners, Joseph J. Plumeri, New York Mets and Nike. Visit the website at www.jackierobinson.org.